Get some historical perspective at Wat Chedi Luang Worawihan and Wat Phra That Doi Suthep. Satisfy your inner culture vulture at Wat Phra Singh and Wat Phra That Lampang Luang. You'll find plenty of places to visit near Chiang Mai: Lamphun (Wat Kukut & Wat Phra That Hariphunchai), Maeklang Elephant Conservation Community (in Chom Thong) and Mae Rim (Elephant POOPOOPAPER Park, Maerim Elephant Sanctuary, & more). Spend the 28th (Tue) wandering through the wild on a nature and wildlife tour. Spend the 2nd (Sun) surrounded by wildlife at Thai Elephant Home. There's still lots to do: identify plant and animal life at Maeklang Elephant Conservation Community, take some stellar pictures from Doi Inthanon, indulge in some personalized pampering at some of the best spas, and play a few rounds at Hansa Minigolf. For more things to do, photos, other places to visit, and more tourist information, use the Chiang Mai trip planner . Vancouver, Canada to Chiang Mai is an approximately 16.5-hour flight. The time zone changes from Pacific Standard Time (PST) to Indochina Time (ICT), which is usually a 15 hour difference. Traveling from Vancouver in May, expect Chiang Mai to be much hotter, temps between 42°C and 29°C. Wrap up your sightseeing on the 10th (Mon) to allow time to travel to Bangkok. 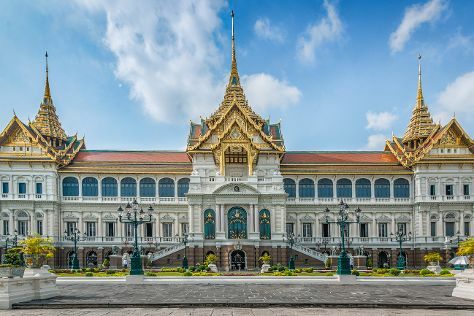 Get some cultural insight at The Grand Palace and Temple of the Emerald Buddha (Wat Phra Kaew). Popular historic sites such as Wat Pho and Wat Mahathat are in your itinerary. You'll find plenty of places to visit near Bangkok: Ayutthaya (Pridi Banomyong Memorial, Ayutthaya Ruins, & more) and Ancient City (in Samut Prakan). There's lots more to do: contemplate in the serene atmosphere at Temple of Dawn (Wat Arun), browse the eclectic array of goods at Chatuchak Weekend Market, admire the masterpieces at Bangkok Art & Culture Centre (BACC), and admire the landmark architecture of Jim Thompson House. For more things to do, ratings, traveler tips, and other tourist information, read our Bangkok trip itinerary maker website . You can do a combination of bus and flight from Chiang Mai to Bangkok in 4 hours. Alternatively, you can drive; or take a train. In June in Bangkok, expect temperatures between 39°C during the day and 30°C at night. Wrap up your sightseeing on the 23rd (Sun) to allow time to travel to Mai Khao. The vast stretches of beach in Mai Khao, once a nesting area for the giant leatherback turtle, are home to various aquatic and relaxation activities. Your itinerary includes some good beach time at Mai Khao Beach and Naiyang Beach. Spend the 26th (Wed) exploring nature at Sirinat National Park. 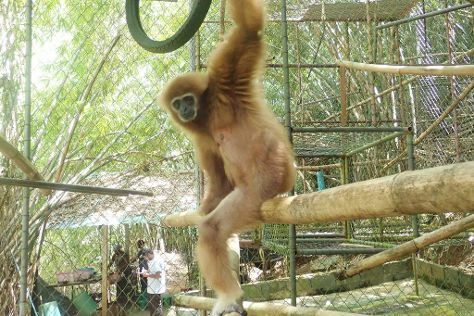 There's lots more to do: look for all kinds of wild species at Gibbon Rehabilitation Project, kick back and relax at Nai Thon Beach, stop by James Bespoke Suit, and make a trip to Takeoff Landing. To see photos, other places to visit, maps, and tourist information, use the Mai Khao trip maker website . Explore your travel options from Bangkok to Mai Khao with the Route module. In June, plan for daily highs up to 37°C, and evening lows to 28°C. Cap off your sightseeing on the 26th (Wed) early enough to go by car to Karon. Get some historical perspective at Big Buddha Phuket and Chaithararam Temple (Wat Chalong). Do some cultural sightseeing at Patong Mosque and The Phuket Gallery. Get out of town with these interesting Karon side-trips: Speed Boats Tours (in Patong), Elephant Family Phuket (in Cherngtalay) and Surin Beach (in Choeng Thale). The adventure continues: enjoy the sand and surf at Patong Beach, tour the pleasant surroundings at Karon Beach, get great views at Nai Harn Beach, and make a trip to Bangla Road. For photos, other places to visit, ratings, and more tourist information, go to the Karon trip planner. Traveling by car from Mai Khao to Karon takes 1.5 hours. In June, daily temperatures in Karon can reach 37°C, while at night they dip to 28°C. Wrap up your sightseeing on the 5th (Fri) to allow time to travel back home.